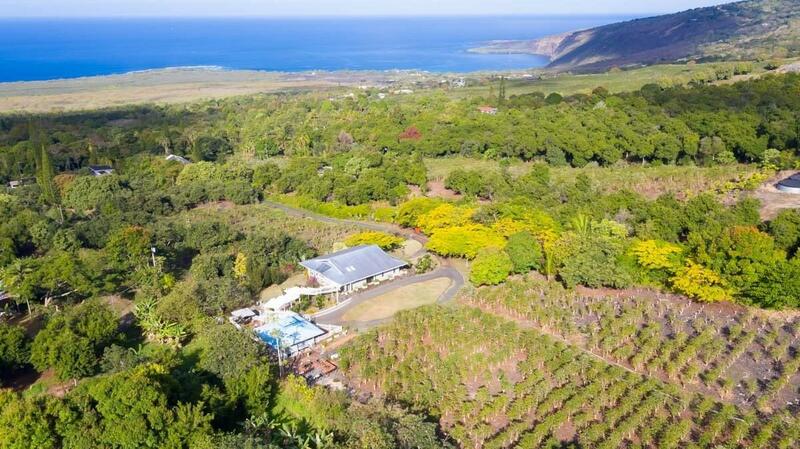 83-5614 Rock Bottom Rd, Captain Cook, HI 96704 (MLS #626497) :: Aloha Kona Realty, Inc.
A productive 6.9 acre leasehold coffee farm with well maintained residence will offer peaceful country living.Situated at a comfortable 950 feet elevation on a very gentle slope over looking the beautiful Pacific Ocean and rural South Kona. Located just off the Middle Keei Rd, it is easily accessed by paved county road, county water and gated property. 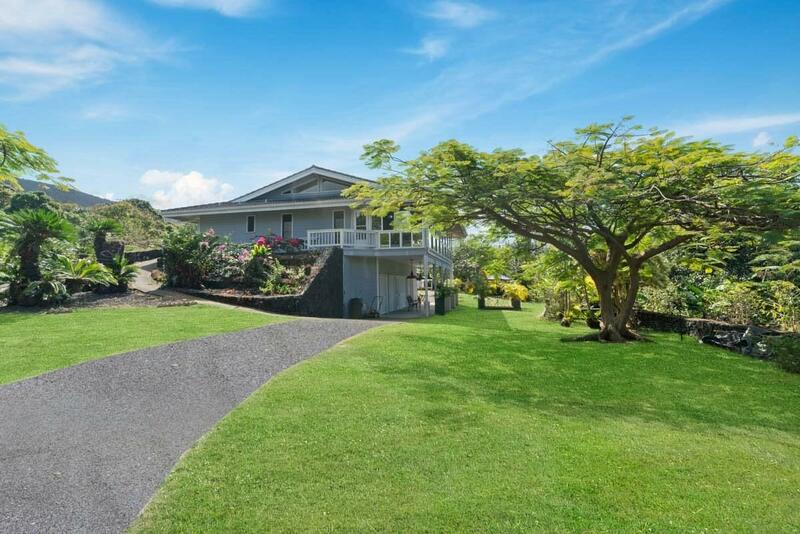 * Beautifully maintained main residence was build in 1990, has 2 bed 2 bath 1,288 sq.ft. 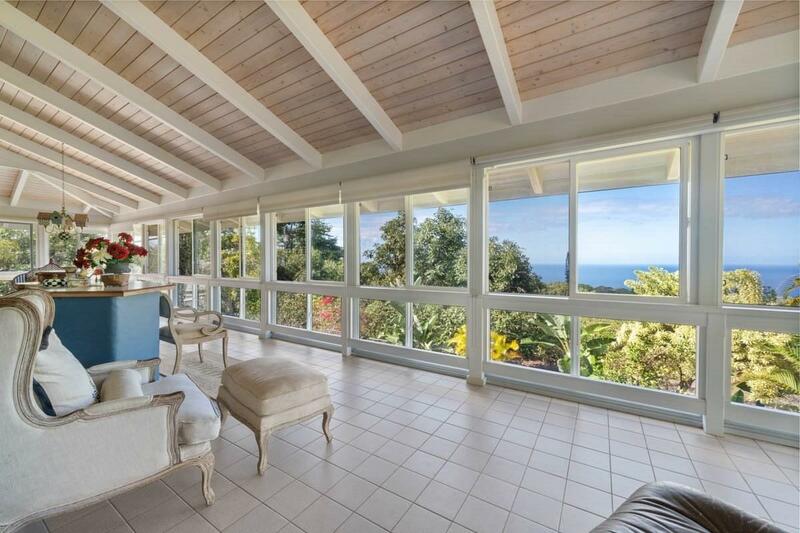 of living area, 522 sq.ft enclosed lanai upstairs, 552 sq.ft. of porch and storage area downstairs. 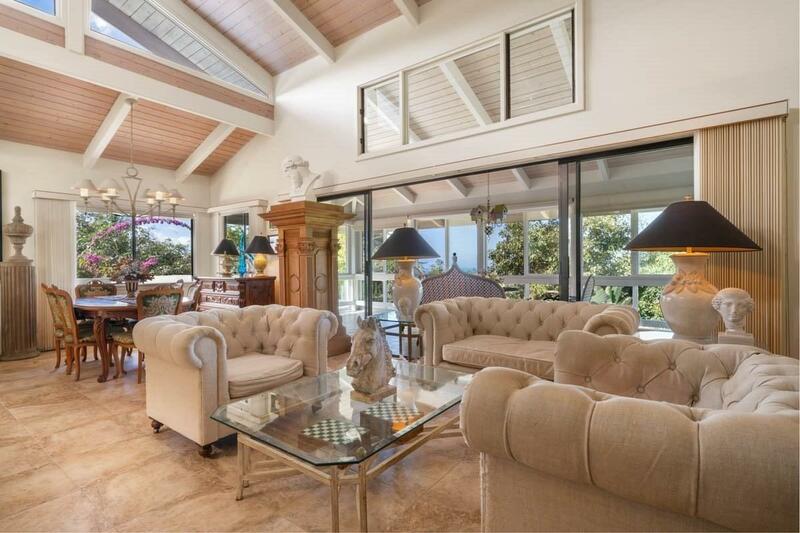 * Open floor plan with vaulted ceilings offers sunshine through the vaulted windows and skylights. * Beautifully updated kitchen with Bahama Granite single slab counter top, with owners pride. * Upstairs Lanai is enclosed with storm windows. * Main residence has detached guest quarter one bed one bath 400 sq. ft with kitchenette. * 3 bed 2 bath 2 story house built in 1946 is located on lower part of property. Currently used as farm workers residence. * Underground Utility to upper part of the property and Overhead utility to lower part of the property. * Property has total three gates: two gates from Rock Bottom Rd and one for upper residence. * Well maintained active coffee farm approximately 4,400 matured coffee trees. * Approximately 40 avocado trees and variety of tropical fruit trees such as Mango, Lemon, Orange, Lychee, Sour sap and Papaya. * Currently coffee farm is contracted out to local coffee farm management company. * Lease has just renewed for another 35 years.